Hope your 2014 is off to a good start! We're a little slow off the mark here, as I'm adjusting to being back at work, navigating the intricacies of daycare, muddling through Erik's first cold (poor pumpkin! 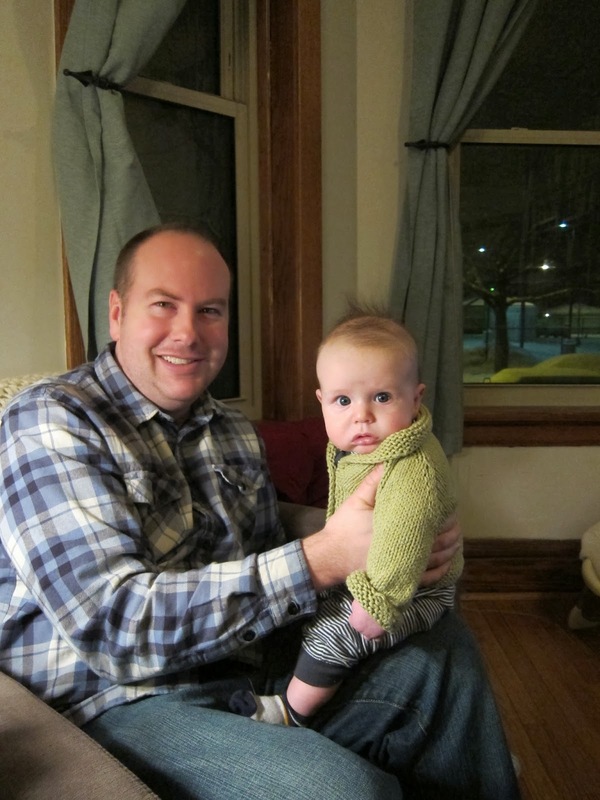 ), and surviving the polar vortex with a wee one. Nothing beats getting wrapped up in a cozy leaf blanket! Mary from my knitting group made this for him, and it's absolutely darling. 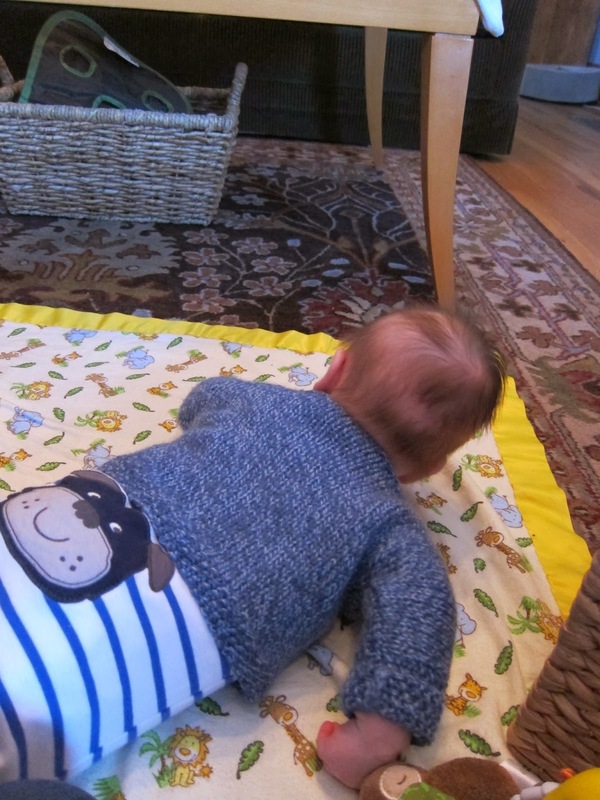 tummy time in his ill-fated cardigan (btw, I was skeptical of this sweater when it came off the needles, but the fit was great and it looked good on him). 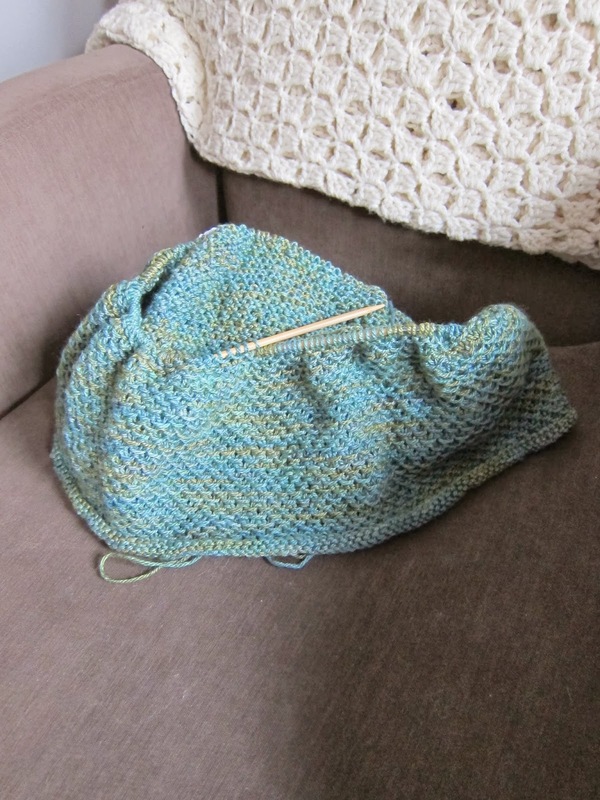 I have been knitting a bit -- the Honey Cowl is the perfect pattern for this tired mama. Not too complicated, easy to pick up or put down when a squawk comes over the baby monitor, and I love how the Briar Rose yarn is knitting up (Celebration, a merino/bamboo blend with a nice sheen).